For each episode of X Company, the CBC spy drama commissioned an international animator to create a new short film, inspired by storyboards and a snippet of key dialogue. New videos will premiere online every Tuesday. Watch the dramatic films that have surfaced so far, and meet the 10 animators involved in the project. Since its second season began on CBC earlier this winter, X Company has been rolling out original cartoons on YouTube — short films that re-imagine the spy drama's scripts. First, there was a shoot-em-up LEGO adventure. Last week, it was a dramatic meditation on fading memory. 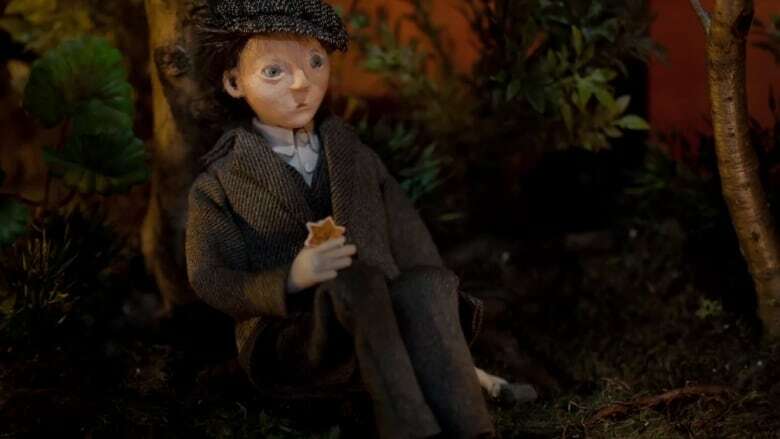 And today,the Canadian Screen Award-nominated drama premiered a suspenseful stop-motion scene from Toronto animator Stephanie Dudley that follows a mysterious stranger as he's being chased through the woods. "We wanted them to be different, we didn't want to have boundaries," explains X Company interactive producer Eva Riinitze talking about the films in the project, which is led by producers at CBC, including Riintze, Mike Evans and Sarah Adams, as well as Ginny Campbell and Heidi Tan at Temple Street Productions. "It's almost like a guessing game," she says. For each of the season's 10 episodes, a different animator (including seven from across Canada) will contribute a new short film. The videos are, in essence, sneak-peek promos, albeit ones that provide a different experience than the typical trailer. 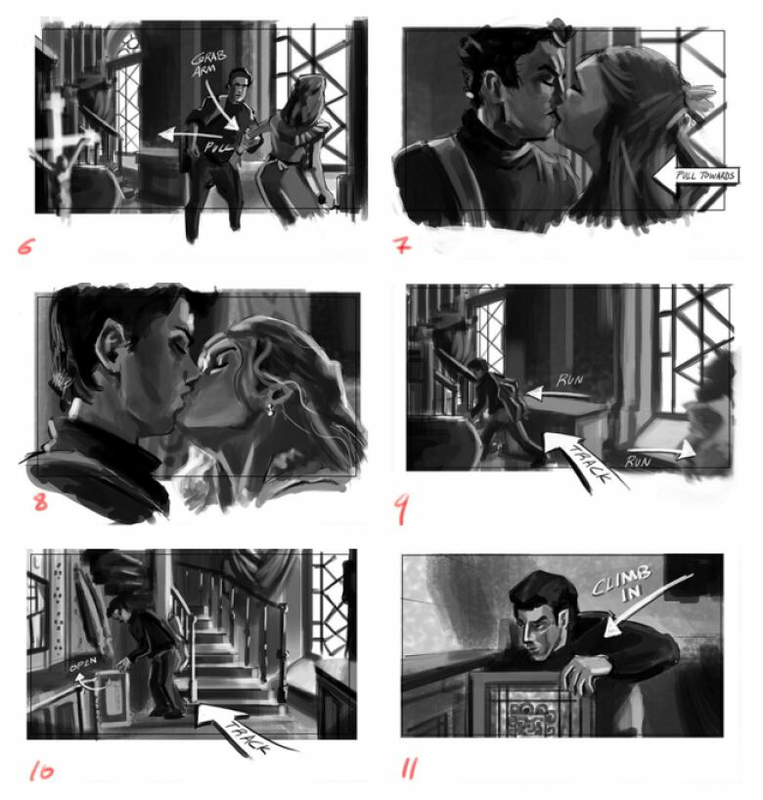 Artists were supplied with key dialogue and a specially commissioned storyboard (the art for which is also published to the X Company website each week). From there, they were on their own to imagine the scene. A new film will arrive online every Tuesday. Animators were selected for their wildly varying and unique styles, says Riinitze, and their built-in followings (whether on social media or elsewhere) were also considered. Michael Hickox, the first contributing animator, has 715,000 YouTube subscribers, for example. "This is a totally new audience for X Company," Riinitze says, but "our goal was really to make something creative, something artistic, something beautiful." And you thought you loved LEGO. From his home in rural Ohio, Hickox creates stop-motion films using the familiar plastic bricks — videos that have earned him hundreds of thousands of YouTube subscribers. "I've gone from playing with my toys as a child, to working with them as an adult," he writes, "and it seems to be making everybody happy along the way." You've gotta see: "Lego Shark Attack"
You've gotta see: "Source," a music video for Fever the Ghost. An established magazine illustrator who's currently working on two children's books with popular francophone author Marie-Francine Hebert, Cinq-Mars studied animation at Universite Laval. From what we spy on her Facebook feed, her upcoming X Company short will involve the same watercolour-and-pencil style as her warm and imaginative illustrations. You gotta see: Her Instagram! Follow @mathildecinqmarsillustration and explore her many works in progress. Riinitze hints that Yantong Zhu's X Company short is one of her favourites from the project, but you'll have to wait another two weeks to understand why. Born and raised in China, Zhu finished a Masters Degree at the Tokyo University of the Arts in 2014, and her thesis project — which you can watch below — has won 24 awards from film festivals around the world. You gotta see: "My Milk Cup Cow"
What's camera-less animation? It's Steven Woloshen's specialty. By drawing directly on the film surface — scratching or painting shapes, frame by frame — Woloshen has been creating his experimental films since the early '80s, animation that is greatly inspired by music. He's even published a book on the subject: Scratch, Crackle & Pop! In 2014, Strong's animated film "Mia" won best Canadian Short Drama at the ImagineNATIVE festival. Described by the filmmaker as a "hybrid documentary," it "presents Indigenous oral traditions as truth and not myth or legend." Strong, who is Metis-Cree/Anishinaabe, regularly explores themes of Indigenous ideology in her art, whether she's working in photography, illustration, or animation. Glynn studied animation at Sheridan College in the GTA, but there's a certain je ne sais quoi about his style that suggests a French influence — perhaps no surprise given that's where he currently lives and works, creating moody films with vibrant, watercolour backgrounds. You gotta see: "Lost Daughter"
Along with Woloshen, Ushev is among the more established animators contributing to the X Company project, and since emigrating from Bulgaria in 1999, his films, several of which can be found on the NFB website, have won more than 100 awards, including a Genie for Best Animated Short ("Lipsett Diaries," 2010). You gotta see: "Lipsett Diaries"
You gotta see: "The Art of Drowning"
X Company airs Wednesdays on CBC at 9 (9:30 NT). Visit their website every Tuesday to see a new animated short based on the Second World War spy series.